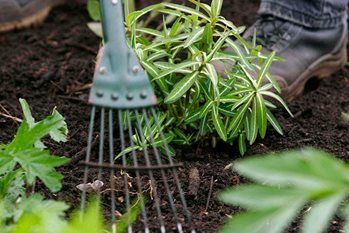 Young plants bought from nurseries or grown from seed or cuttings at home for summer display outdoors when the weather improves often need to be hardened off. Hardening off allows plants to adapt from being in a protected, stable environment to changeable, harsher outdoor conditions. If suddenly placed outside, the shock can severely check a plant's growth. Although plants usually recover eventually, hardening off is thought to be preferable to a sudden shock. The effect of hardening off is to thicken and alter the plant's leaf structure and increase leaf waxiness. It ensures new growth is sturdy although growth will be much slower than in the greenhouse. But be warned: hardening off does not make frost-sensitive plants hardy. Typically hardening off takes two to three weeks, but the warmer the initial growing conditions, the longer the hardening off period. Hardy plants acclimatise faster than half-hardy or tender kinds. If you don't have a greenhouse, move plants into a cold frame, with the lid open slightly during the days of the first week and closed at night. Gradually raise the lid during the next fortnight until removing it entirely prior to planting. A cloche may be used but this does not give as much frost protection as a coldframe. If there are no specialist facilities available, place plants in a sheltered position in front of a south-facing wall or hedge and cover with two layers of fleece to prevent sun scorch and temperature shock. For the first week, leave outside during the day, but bring in at night. In the second week reduce to one layer of fleece. Towards the end of the fortnight remove the fleece during the day. If the weather is suitable leave the plants outside at night but ensure they are covered. Towards the end of the third week leave them uncovered before planting out. Covering with an old curtain or extra fleece can protect from sudden sharp night frosts that occassionally occur in late spring. The most common problem is damage from cold temperatures, or even a late frost. If this happens, cut out the damaged growth and continue to harden off. In warm weather pests such as greenfly might multiply and need controlling.